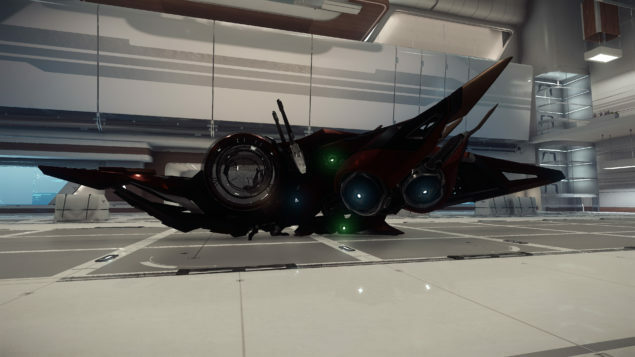 A new flyable ship (the Sabre). 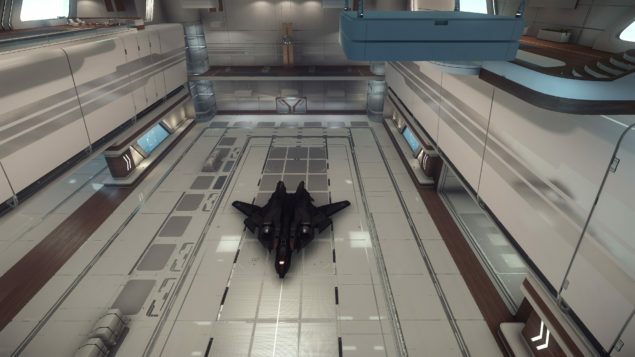 A new hangar ready ship (the Xi’an Scout). Monitored space alert: Active comm arrays now allow for space to be monitored. When monitored, criminal activities will increase your criminal level. Disabling a comm array will allow you to undertake dastardly deeds unnoticed thereby not affecting your criminal level. Ten minutes without criminal activity will reduce your level by 1. Hacking a terminal at Security Post Kareah. Each hack takes 1 minute and reduces level by 1, however only one criminal can hack at a time so you’d best defend the terminal while your hack takes place! Once you reach criminal level 5, a bounty is placed on your head and other players are invited to go kill you. If you kill a level 5 criminal, congratulations! Crusader Industries will give you a Klaus & Werner ATT4 Energy Rifle for your troubles (you’ll find it in your sleeping pod on Port Olisar). If killed while a criminal, each criminal level adds 30 seconds of “jail time” to your respawn during which time you’ll have to wait in your pod. If you attain level 5 and are killed, you’ll be ejected from the instance. Both pirates and security AI will become much more aggressive towards aggressors. When a player attacks another player, the radar will now flag that player as hostile. A new EVA (jet packs in space) model which allows for some degree of drift and inertia. There is now a much more usable party system in 2.2. Forming a party (for example from the hangar module) prior to joining the PU will mean that the servers will attempt to place all party members in a single instance (instance size now increased to 24). The above is just a very small snapshot of the changes which come with 2.2. If you’re a backer, head over to the forums here to see the full list (it’s big!). In addition to the big initial release of 2.2, 5 subsequent patches have fixed about 60 bugs that have been found in it.